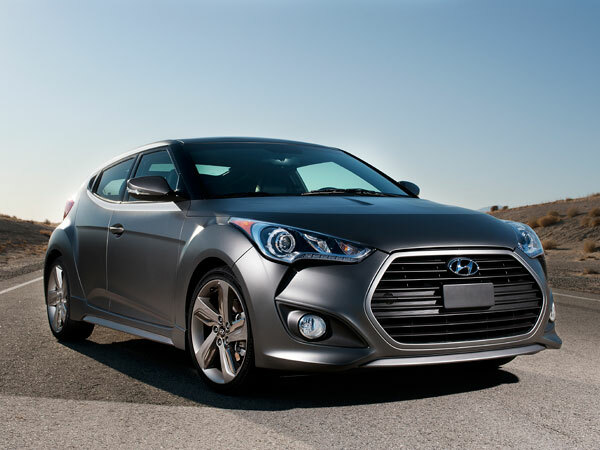 The Veloster lacks the performance cred to back up its killer looks. But that will change once this 201-hp version hits the streets. The 45 percent boost in horsepower has most folks taking a second look at the Veloster, and hoping this Turbo is a signal that Hyundai is getting as serious about performance as it has been about quality and design over the last few years. So far, though, signs remain cloudy—the stonking 1.6-liter motor with dual exhaust notwithstanding. Word is the Veloster Turbo gets the same suspension, which is disappointing. The stock Veloster is fun but stiff-kneed and less refined when compared to better-bred sporty cars like VW's GTI—or the Subaru BRZ, which is only somewhat costlier than what we're expecting to see from the Veloster Turbo. Also, ask Mini engineers about controlling torque steer in a 200-hp car with a short wheelbase. That, too, has probably made Hyundai sweat. Even if the Veloster Turbo isn't perfection out of the gate, we hope it's a sign of better-performing Hyundais (and Kias) to come.